We make a mountain out of a triangle of caramel surrounding a maraschino cherry. It IS a big deal. Milk or dark chocolate topped with a “snow drift” of white chocolate. 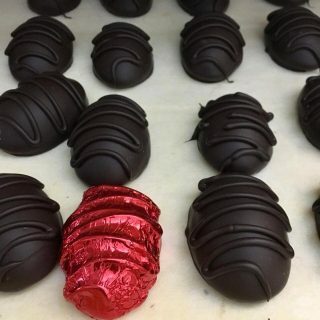 Caramel and toasted coconut coated in chocolate: milk chocolate “lulu” and dark chocolate “Mr. Richardson”. * Please allow additional time for packaging your order during BUSY Holidays. Thank you. MORE COCONUT – because we love it so much! Coconut cream with an almond – coated in milk chocolate. We call it our “almond gae”. 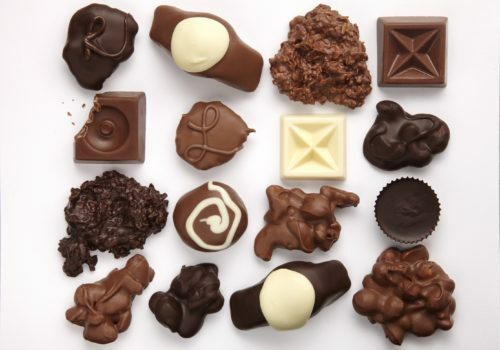 Gae is the owner of THE chocolate SHOP – and besides the “Mr. Richardson” (named after her husband), her top choices from the candy case are the milk chocolate toasted coconut haystacks and the almond gae. Just the nut clusters if you think that the above mentioned caramel nut clusters and toasted coconut caramel clusters are good – these are every bit as wonderful without the caramel. Covered in our milk or dark chocolate. So special we save them just for the candy case in our uptown marion retail store. 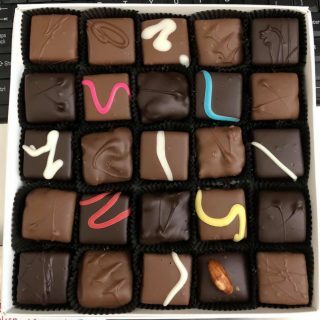 Or by request – in a YOUR choice box of chocolates. Call ahead. Special order. 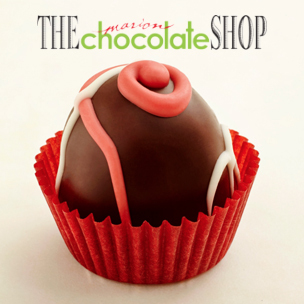 THE chocolate SHOP = Making Marion sweeter one day at a time since 2006. 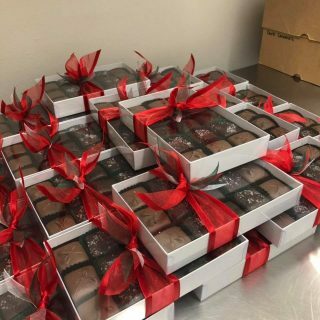 Your choice = THE perfect CHOICE: 1 box or 301 boxes = locally made fine chocolate in pretty boxes = MADE for YOU.